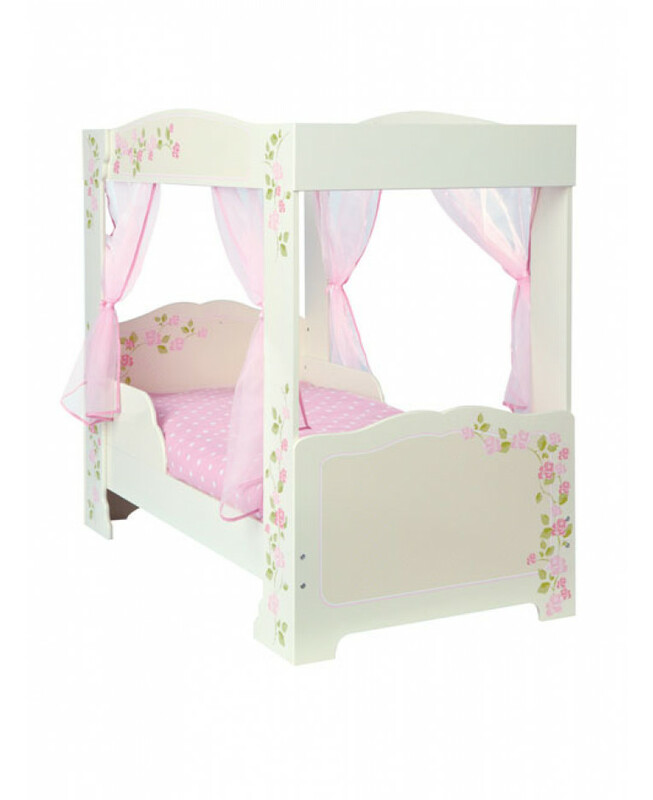 This beautiful Rose 4 Poster Toddler bed is a bed truly fit for a princess! With its pretty floral rose design and pink voile curtains it will completely immerse your little one in a magical fantasy world in their dream bed. 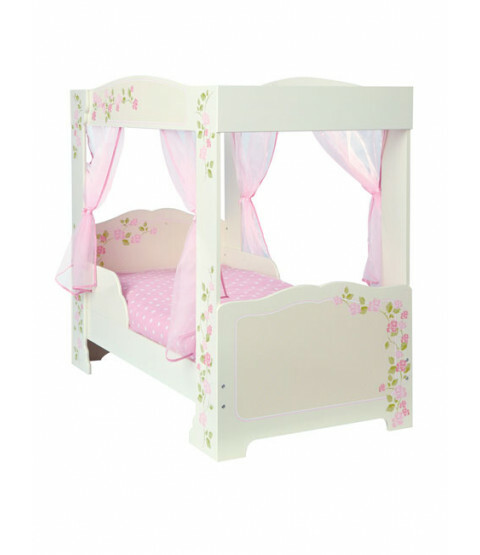 The flower patterned four poster toddler bed has protective side panels to avoid bedtime tumbles and is low enough for little legs to access. The solid MDF bed frame is easy to construct and includes full step-by-step assembly instruction so putting it together is child's play.